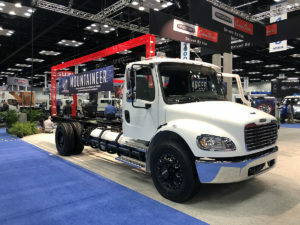 More than 14,000 industry professionals from 28 countries attended The Work Truck Show in Indianapolis, where propane autogas-fueled vehicles and engines dotted the more than 500,000 sq. ft. of exhibit space at the Indiana Convention Center. Freightliner Custom Chassis Corp.’s S2G now comes with two propane autogas engine options – an 8.0L and the new 8.8L, shown here, from its DriveForce lineup. Photo courtesy of Freightliner Custom Chassis Corp.
Freightliner Custom Chassis Corp. (FCCC) showcased a significant enhancement of its propane autogas S2G. The S2G now comes with two engine options – an 8.0L and the new 8.8L from FCCC’s DriveForce lineup. The DriveForce 8.8L features a number of upgrades to provide end users with power, performance, fuel efficiency and emissions certification, according to the company. The 8.8L-engine powers the 2020 model year of FCCC’s S2G work truck vehicle, which pairs FCCC’s S2 chassis with a factory-installed propane autogas engine from Power Solutions International (PSI). The chassis is designed for commercial market applications, including pickup and delivery, student transportation and municipalities. At The Work Truck Show, FCCC officials touted the 8.8L’s benefits to the propane marketer, particularly those operating bobtails in cold weather and mountainous regions. They point to the 8.8L’s power and torque, as it provides 270 horsepower at 2,600 rpm and 565 lb.-ft. of torque at 1,500 rpm. “This is for that Colorado customer that wants to go up the side of Mount Evans,” says Bryan Henke, manager of product marketing at FCCC. The 8.8L follows the 8.0L, which has been met with mixed reviews from the propane industry since production began in 2014. 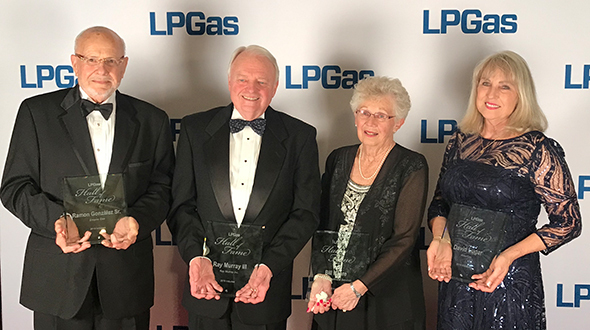 Leaders from FCCC and the Propane Education & Research Council (PERC) have been holding annual meetings at the National Propane Gas Association’s Southeastern Convention & International Propane Expo to help open lines of communication with customers and strengthen the service and support process on the S2G. 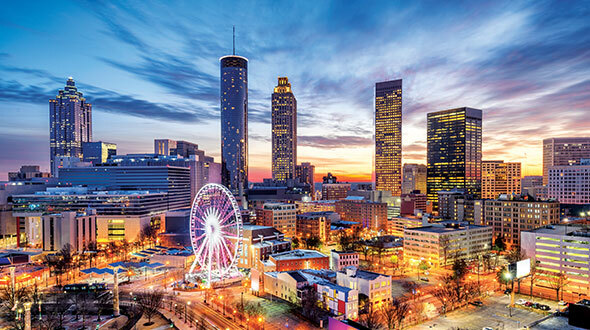 Another FCCC S2G & Bobtail Forum is scheduled for April 14, during this year’s Propane Expo, in Atlanta. Also at The Work Truck Show, Alliance AutoGas showcased its newest collaboration with Prins Alternative Fuel Systems, an engineered system installed on a 2019 6.0 LC8 Chevy Silverado. According to the company, the system is estimated to save over $3,000 per year in fuel costs and will lead to an average reduction of 58 tons of greenhouse gas emissions. Ed Hoffman, president of Alliance AutoGas technology and hardware supplier Blossman Services, says The Work Truck Show was important this year because it showed how chassis OEMs are introducing more capable medium-duty gasoline engines, such as Ford’s new 7.3L V8 and GM’s new 6.6L V8. “We are anxious to bring variants to market running on propane autogas,” he says. 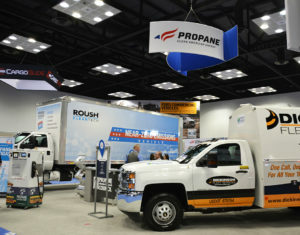 The Alliance Silverado truck was among the features in the PERC booth, as the council continues to promote the clean and affordable benefits of propane autogas to fleet owners and managers. Roush CleanTech also had a significant presence in and out of the PERC booth. It displayed a lifted 2019 model year F-650 catering truck with a Hacor wrap. Hacor is a catering company based in Los Angeles. Roush CleanTech also displayed a 2018 model year F-750 van body in the PERC booth. Load King LLC, a wholly-owned subsidiary of Custom Truck One Source, announced the launch of its new Voyager Series. The lineup includes the Voyager P propane service body, built specifically for propane marketers. It features a tri-axis sensor to stay level and a Rumber bed floor for no-slip bed access, with a removable pipe vice attachment and aluminum side rails. 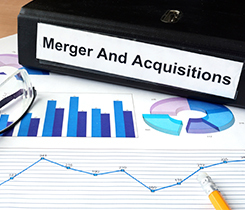 Other show highlights included vehicle introductions, equipment demonstrations, expanded educational opportunities and the industry’s broadest display of vocational trucks and equipment. North America’s largest work truck event returns to the Indiana Convention Center for its 20th anniversary March 3-6, 2020. 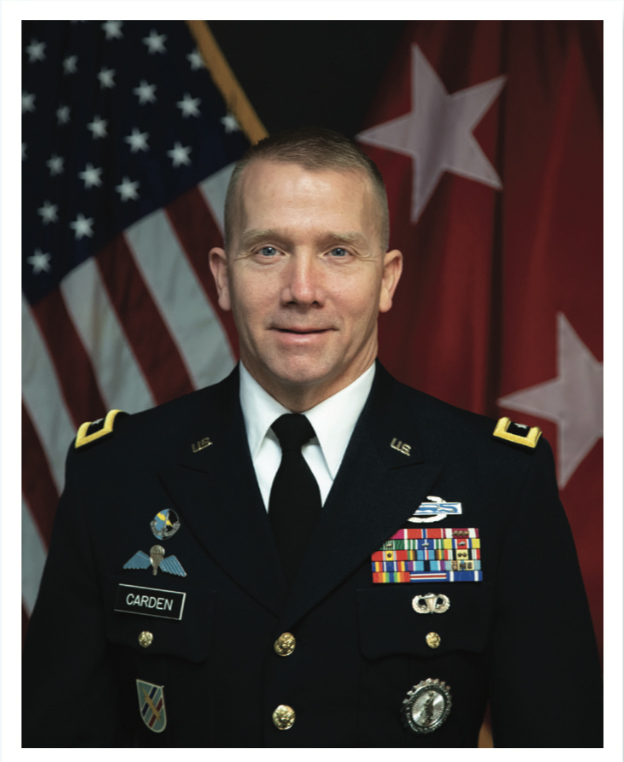 Check out our Facebook photo slideshow from the event. Click on the Facebook icon in the upper right corner below to access the photos.